Three of Kim-An's poems are featured in a new anthology from University of Hawai'i Press. 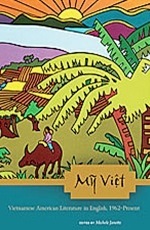 "My Viet presents a rich, varied, and provocative collection of literary work that explores Vietnam from many Vietnamese points of view, sees America through a specifically Vietnamese American lens, and broadens the scope of Vietnamese American literature to its fullest extent." 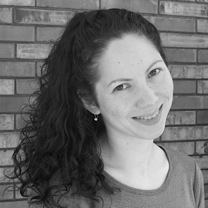 KIM-AN LIEBERMAN is a writer of Vietnamese and Jewish American descent, born in Rhode Island and raised in the Pacific Northwest. She studied interdisciplinary humanities at the University of Washington before earning a Ph.D. in English from the University of California, Berkeley. Her debut collection of poetry, Breaking the Map, was published in 2008 by Blue Begonia Press. Her poems and essays have also appeared in Poetry Northwest, Prairie Schooner, Quarterly West, ZYZZYVA, CALYX, Threepenny Review, and the anthology Asian America.Net: Ethnicity, Nationalism, and Cyberspace. A recipient of awards from the Jack Straw Writers Program and the Mellon Foundation for the Humanities, as well as a finalist for the 2009 Stranger Genius Awards, Kim-An has been a featured reader at venues including Richard Hugo House, Seattle Public Libraries, Skagit River Poetry Festival, Portland's Wordstock Festival, the San Francisco International Poetry Festival, and the Asian American Writers' Workshop in New York. She has also spent many years in the classroom, teaching writing and literature at every level from kindergarten through college.